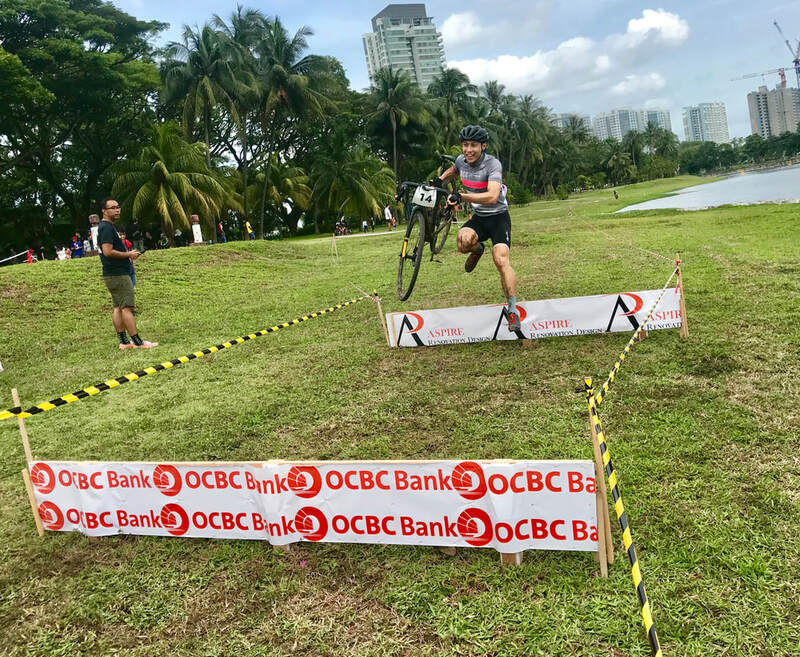 The sport of cyclocross in Singapore took a giant leap forward yesterday as a bumper field of participants and a big crowd of spectators enjoyed a thrilling afternoon of action as just the second ever CX national champs took place at Kallang Riverside Park. 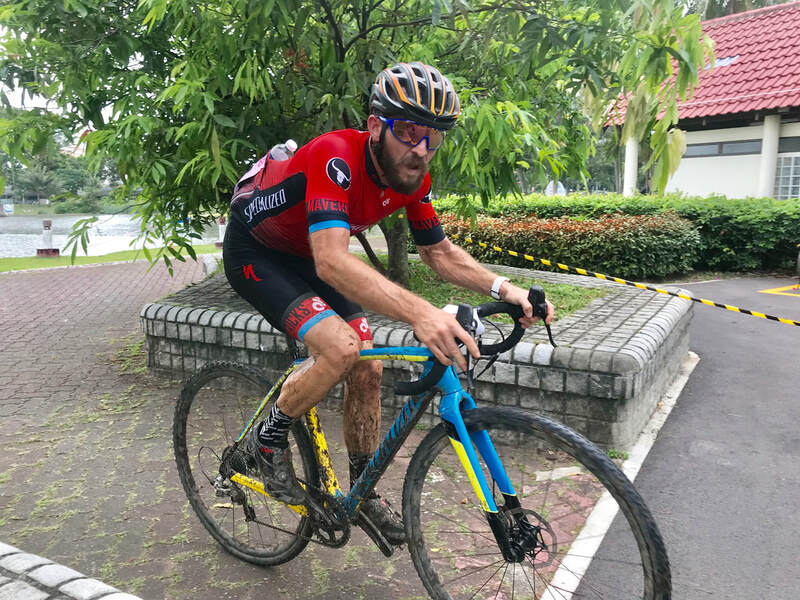 The big winner of the day at the 2019 OCBC Singapore National CX Championships was Bastian Dohling (Specialized Roval Mavericks) as the German outduelled the Aussie Mike Koreneff (Allied World Treknology3) to claim the men’s elite title after five laps of a fast but punishing course laid out along the banks of the Kallang River. 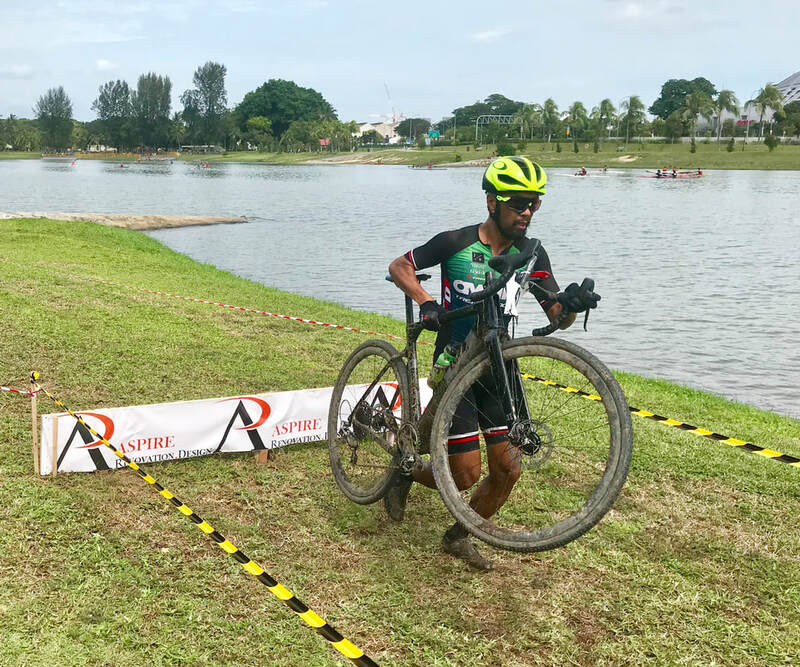 With neither man being Singaporean, the title of national champion went to local cycling legend Junaidi Hashim (Team Awano Treknology), who finished fifth on the day. Cyclocross made its debut on these shores in January 2015 when a direct descendent to yesterday’s race took place on the Green Corridor. 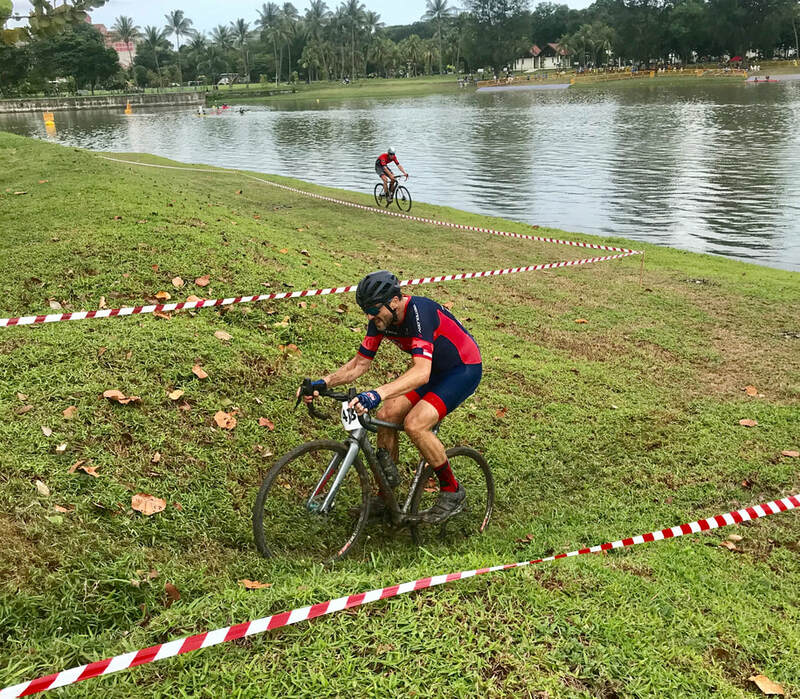 This now annual event organised by Arnold Yeo and his team at Cyclocross Singapore celebrated its fifth birthday with official recognition by the Singapore Cycling Federation as the 2019 national championships. 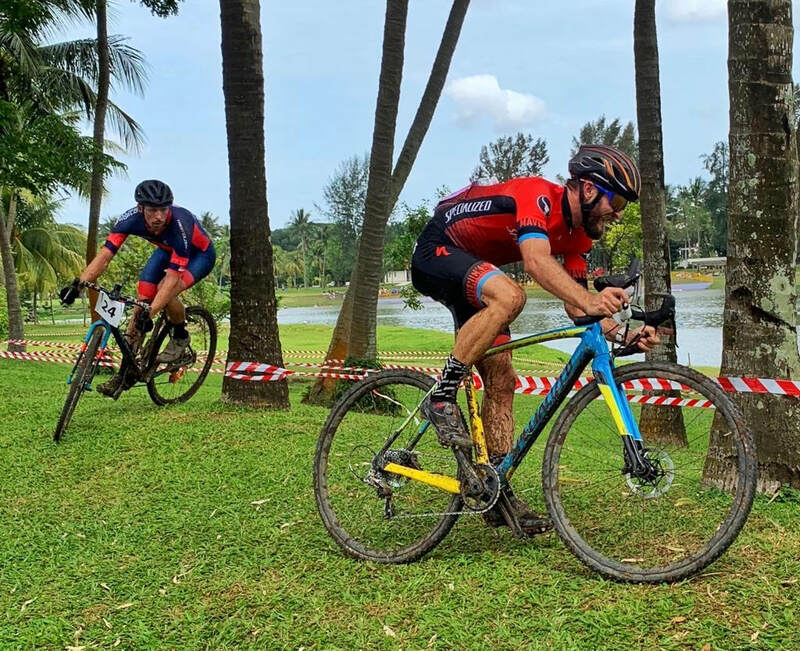 The other player in trying to create a cyclocross buzz in Singapore has been well-known cycling events outfit Cycosports with its popular Jungle Cross series at Turf City. Indeed, the inaugural CX national champs was held last year on the Jungle Cross circuit, and it too was a great success. But while the 2018 event was tagged onto the cross country mountain bike nationals, cyclocross enjoyed top billing at yesterday’s event. And the fledgling community responded by turning out in numbers. While some 45 registrants for the cyclocross race card might not sound like a big figure, it’s by far the largest number so far to assemble for a CX race on these shores. The event actually kicked off in the morning with an undercard including a MTB/Fat Bike contest and a number of novelty races such as the Bike and Beer Challenge, while a kids strider circuit was also set up on the sidelines of the main CX circuit. This all helped to ensure there was already a festive atmosphere at the race village by the time the cyclocross contestants started to arrive for the headline events in the afternoon. A classically Euro-style CX course was laid out along the banks of the river. The roughly 2km long circuit was basically flat, but it contained a variety of surfaces to test the participants, including roots, ruts, thick grass, potholes and of course heavy mud. There were also barriers, short slopes and a mini flight of stairs to make sure the racers had to get off their bikes a few times, but the star of the show was probably the snail. The riders hit the taped-off, leg-sapping, grassy spiral near the start of each lap and its clever in-and-out design meant that even when the field was stretched out, there were many riders negotiating it at the same time, creating a real spectacle for the crowd. Three separate CX contests for Juniors, Women and the 45+ men acted as a warm-up for the men’s elite racers, so the muddy sections of the course were nicely churned up by the time they lined up on the start grid. Joining Dohling, Koreneff and Junaidi under the gantry awaiting the flag off were notable names such as road star Pierre-Alain Scherwey (Allied World Treknology3) and 2018 national CX champ Bin Chye Tan, as well as cyclocross specialists Andrew Fang and Ken Cashon. It turned out to to be the latter, as leading the chase behind were Scherwey and Koreneff, and the Allied World duo steadily ate into the gap. They were almost within touching distance by the time Dohling and the Dutchman Van Loon crossed the start/finish line at the end of the first lap and it wasn’t long before Koreneff made the junction to the leaders just as Van Loon momentarily faded. This combination of events set the scene for the remainder of the race as Dohling and Koreneff fought for the win and Van Loon and Scherwey battled for the bronze medal. Even after just one lap, these four riders had a huge gap on the rest of the field. Dohling and Koreneff frequently traded places at the front for the next three laps, but they weren’t exchanging turns, this was a furious battle for supremacy which had the crowd enthralled throughout; the layout of the course meant spectators only had to make short movements to be able to see most of the action. The glue attaching the two leaders began to stretch midway through the fourth lap as Dohling opened up a slight gap after he powered through the bone-rattling section of ruts and hidden grassy holes that preceded the U-turn into the long straight along the river. The German extended his lead slightly on the banked series of zig-zags and then after negotiating the barriers and stairs better than Koreneff, the gap was up to some 15 seconds by the time he started the final lap. The gallant Koreneff rolled in half a minute minute behind to clinch the silver medal, leaving the battle for the final podium spot between Scherwey and van Loon. This was also a cracker of a contest with ebbs and flows throughout that contributed hugely to the fantastic spectacle that the elite race was for the crowd. In the end the big Swiss Scherwey proved the strongest of the two, which meant that while the Specialized Roval Mavericks had the top spot on the podium, the winner Dohling was flanked by two men from Allied World. While Van Loon finished 20 seconds back from Scherwey there was daylight to the rest of the field. But there was still lots to play for behind, with the Singapore national championship and the right to wear the national jersey up for grabs. It was Junaidi that ended up winning that battle to add to the collection of national titles he has amassed over years in road, TT and mountain bike. He beat Fang by 30 seconds yesterday, with Tan a bit further behind. ​It seems strange to call Junaidi a rookie, but that’s what he was yesterday, taking part in his first cyclocross race having just borrowed a CX bike the day before the race. 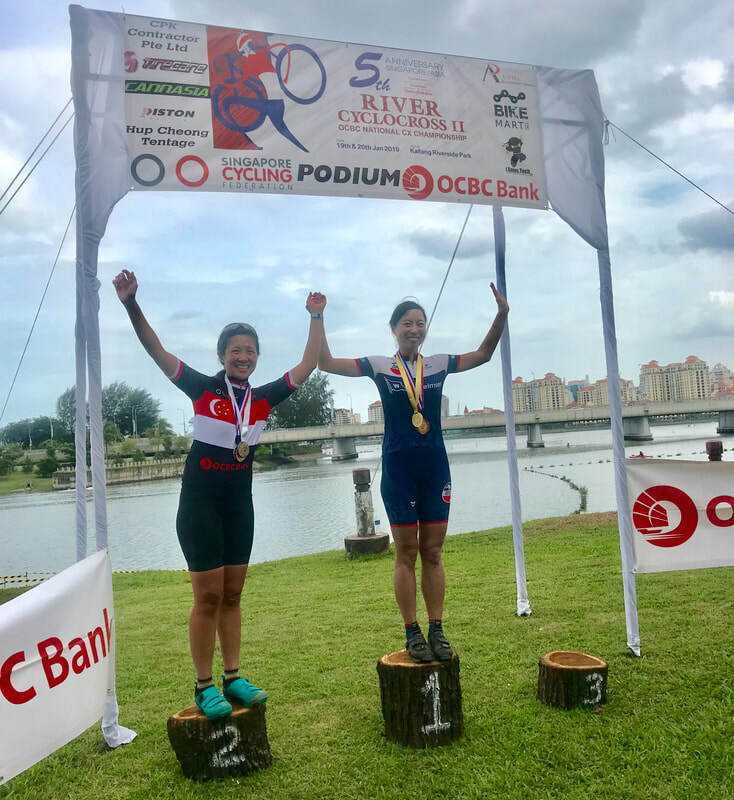 The fact that the multi-time MTB national champ even entered the race yesterday is a great thing for the local cyclocross scene and will hopefully encourage more of Singapore’s top mountain bikers to give CX a go. The win from the charismatic Dohling should also be good for the CX discipline in Singapore, as should the coverage of the race from The Straits Times. Dohling was an exhausted but very happy man post-race yesterday. “It feels beautiful to have won these fantastic Singapore nationals and it’s a birthday gift to my wife Trudy. It’s her birthday tomorrow,” the smiling champ said as he sat glowing in the Singapore sun with his family. “It was an amazing course. It was more like the style of cyclocross they have in Europe than we are used to here in Singapore. Very fast, nice obstacles, a little bit of mud, not too technical, so it feels like it’s a very inclusive course and also super spectator friendly ... there were spectators all around the loop. The course also had lots of funs twists and turns, and I really loved the long snail, because you could really keep an eye on the competition. And within the first lap it was already spread out and it was hard racing. So a hard course but not too technical. Perfect,” he said. Always a competitor, Dohling clearly relished the battle he had with Koreneff. In addition to the Men’s Elite, there were a bunch of other CX titles up for grabs yesterday. Slightly disappointingly, there were only four starters in the Women’s wave, which featured a runaway winner over the three-lap contest in the shape of Stephanie Lim (Anza Cycling). The Australian crossing the line some two minutes ahead of Anza teammate Yinxiao Wu, with Lynette Ngo (Team Cycledelic) third over the line. Ngo was crowned the elite national champion, while Wu took the Masters crown. The fastest of the non-elite male racers was Wilfred Diepeveen (Specialized Roval Mavericks) racing in the 30-34 category. He raced in a Masters wave comprising all the 30-44 year-old riders, with three sub-categories being awarded in line with new UCI regulations. The Dutchman covered his three laps in 23:02, which was almost three minutes faster than the next man over the line, Sebastian Teo (Rapha CC). Another Rapha rider Kiryl Martsinkevich took third place in the wave. In the sub-cats, Diepeveen was joined on the 30-44 podium by Martsinkevich. In the 35-39 contest, the winner was Czar Jay Pulido, with the runner-up in that category and new national champ Hanafi Bar. The Singaporean Teo not only won the 40-44 cat, he also took the national title and red-and-white champ’s jersey. Will Price and Firdaus Mahzah joined him on the podium in second and third respectively. Broken down into the sub-cats, Scarff took the 45-49 title from McDonald and Brandon Lee. Fourth placed finisher Siong Hing was crowned the division national champion. Ames stood atop the 50-54 podium, where he was joined by Grant and the third-placed rider Dennis Tan, whose efforts earned him the national title. Alistair George won the 55-59 race. ​Cyclocross will hopefully keep growing from yesterday’s breakout experience, but for the CX discipline to realise its full potential it perhaps needs two things to happen: yesterday’s organisers Cyclocross Singapore (put in url) should consider putting on more events as both the nationals and the X Rally road/off-road hybrid event they staged in August last year were well organised, well attended and well received ... so more please Arnold! The other key element for a thriving local cyclocross scene is that more CX riders need to sign up for and support the Jungle Cross series. If only half of the 40+ people who registered for yesterday’s nationals also sign up for the next Jungle Cross CX event on February 10, it will be the biggest field the CX series will ever have drawn (go to www.cycosports.com for details). Let’s get the whole community together and make sure CX continues to grow.